Whyteleafe FC Chairman Mark ‘The Statesman’ Coote is to take one on the chin for charity. 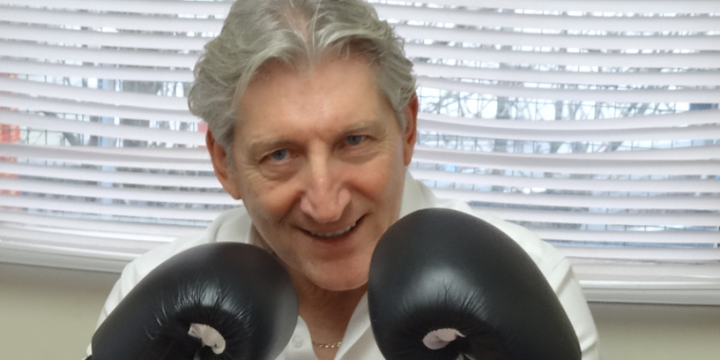 The sexagenarian will defy the years to enter the boxing ring to go head-to-head with ex-professional footballer Brian Sparrow in an epic showdown at the Clapham Grand on April 11 to raise money for the Lily Foundation. The Lily Foundation is the UK's leading charity dedicated to fighting mitochondrial disease. Its mission is to support people whose lives are affected by the condition, raise awareness and fund research into its prevention, diagnosis and treatment. 10 million people in the UK suffer from diseases in which mitochondrial dysfunction is believed to be involved, and every day in the UK a baby is born that will develop mitochondrial disease. “If I can help get to that day faster by putting on a pair of boxing gloves and hitting a very good friend of mine to raise money for more and better research then it’s not really a difficult decision,” added Mark.